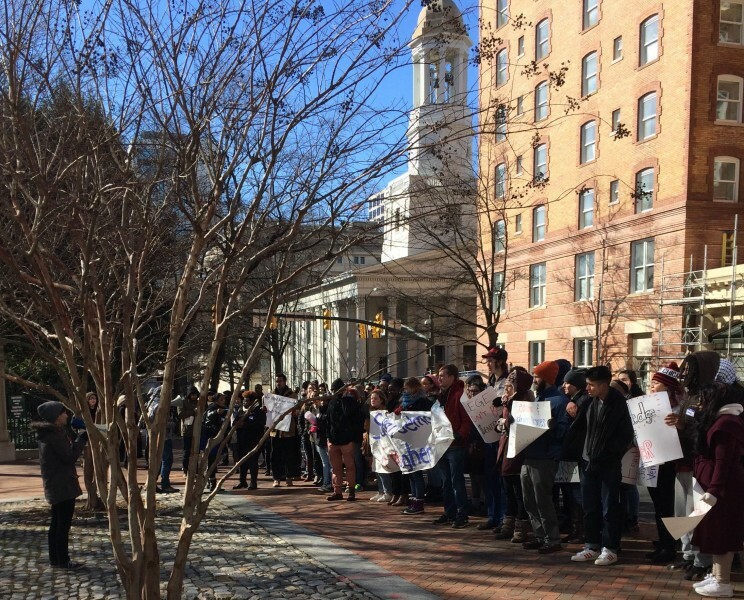 Richmond student rally demands free education on MLK Day | Fight Back! 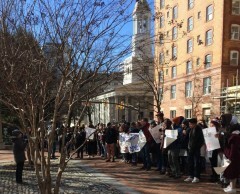 Richmond, VA – On the morning of Martin Luther King Jr. Day, Jan. 18, around 100 students with the Virginia Student Power Network rallied outside the Virginia state capitol, demanding the right to a free education. Students chanted, "Education is a right, that is why we, fight, fight, fight!" and "No cuts, no fees, no corporate universities." "The fact is that the Virginia government as been balancing their budget on the backs of poor people and people of color and it’s not okay that people have to choose between paying bills and paying tuition," said Ayanna Ogaldez, an activist with the Virginia Student Power Network. “That needs to change."